Singapore brings a wealth of expertise, funding opportunities and market access that is beneficial for every fast growing startups. Plus, the city-state is certainly not short on quality startups accelerators and incubators. Here’s a list of Accelerators and Incubators that will help passionate entrepreneurs take their projects and ventures to the next level. 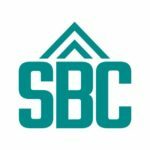 Startupbootcamp Fintech is an accelerator focused on financial innovation, providing funding, mentorship, office space and access to a global network of investors and venture capitalists, for up to 10 selected startups per year. The 3-month program provides the selected startups with the opportunity of collaborating with over 400 mentors, partners and investors to build world-class fintech and insurtech products. 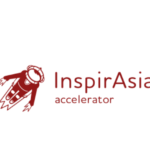 InspirAsia in Singapore is an accelerating program and co-working space. The acceleration program is tailored for mature startups to support them in scaling: expand to other markets or verticals, organize international partnerships between teams, find synergy between products to create brand new bundles for customers. Life.SREDA provides startups with support in developing strategy and vision, assistance in efficient business modelling, enhance the products to global standards, assist in the global market expansion, help with tech, business, financial and VC partners from global network. Singapore Fintech Bay is a dedicated fintech platform in Singapore. The versatile launchpad provides a dedicated fintech co-working space, with state of the art meeting rooms, innovation labs, acceleration programmes, curated activities and educational opportunities. 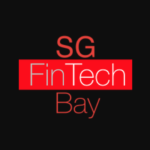 Singapore Fintech Bay currently offers two programs: The Venture Acceleration Platform, a customised program designed to accelerate fintech companies to the next growth stage of commercialisation and expedite partnership opportunities with them, and the Fintech Talent Program, which provides internship and mentoring opportunities for our candidates. 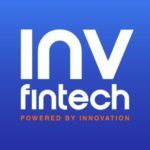 INV Fintech is a startup accelerator program dedicated to fintech. It was formed through a partnership between Bank Innovation, one of the world’s leading fintech strategy news services, and Fiserv, a leading provider of financial services technology. Since 2015, INV Fintech has received more than 400 applications from 55 countries and have helped 30 fintech startups grow their businesses. Twice a year, it selects 6 to 10 teams from a diverse pool of applicants to foster tomorrow’s fintech. INV Fintech does not require startups to be in a particular location and works with startups digitally. Startups that are chosen for admission receive a multitude of services on a global basis. 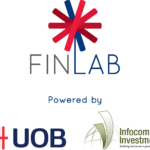 The FinLab operates acceleration programs focused on propelling the growth of innovative fintech and technology companies and catalyses the digital transformation of businesses. 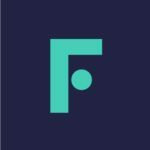 Since its inception in 2015, The FinLab has run two acceleration cycles for fintech companies. The third cycle of The FinLab’s programme focuses on helping SMEs on their digital transformation, including matching suitable and innovative fintech and technology solutions with the needs of SMEs. The Smart Business Transformation Programme (SBTP) will be running the programme in Thailand in 2019. 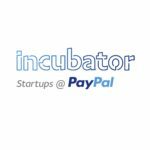 Located within PayPal’s Singapore Technology Center, PayPal Incubator endeavours to nurture and support the creation of a new generation of technology companies. The 9-month program offers prime co-working space at PayPal’s Singapore Technology Center located at Suntec City, structured learning conducted by experts, coaching and mentorship by PayPal executives and external business/technical subject matter experts, access to talent from within and outside PayPal, and access to funding through PayPal’s network and VC connections. 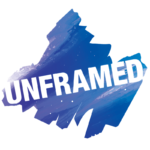 UNFRAMED is a leading community of for-impact entrepreneurs that leverages its training academy and programmes to equip entrepreneurs and intrapreneurs with relevant and timely skills, mindset and resources to achieve the greatest impact in society and on the environment. UNFRAMED currently runs two programmes: the 3-week Bootcamp Programme for startups to validate an idea, initiative or prototype and turn it into real impactful action; and the 4-month Accelerator Programme which provides holistic support for early-stage social impact startups to accelerate their growth and reach sustainability. 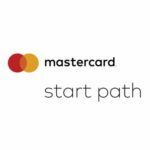 Start Path Global is Mastercard’s worldwide program for innovative later stage startups from across the globe, helping startups from around the world scale their businesses. The program enables companies to gain access to Mastercard’s global ecosystem and to break new markets through relationships with Mastercard and its customers. Some key features include: a 6-month virtual program, 2-immersion weeks at different cities, and no upfront equity in exchange for participation. Entrepreneur First (EF) isn’t a traditional “accelerator.” EF supports the best, most ambitious computer scientists and engineers to build deep-technology companies from scratch. 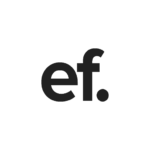 EF offers different programs for each stage: EF Form, which focuses on helping entrepreneurs find a co-founder and develop their ideas, and EF Launch, which focuses on getting the team funded and starting the business. EF is backed by Reid Hoffman, Greylock Partners, Mosaic Ventures, Founders Fund, Lakestar Capital, and Deep Mind founders Demis Hassabis and Mustafa Suleyman. AIRmaker offers IoT-focused cross-border accelerator programmes powered by Ascendas-Singbridge, a leading provider of sustainable urban and business space, SGInnovate, the investment arm under the purview of the National Research Foundation, and real-estate powerhouse Runyang Group. 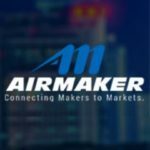 It currently offers 3 programmes: AIRmaker X, a 3-month programme matching entrepreneurs to industry problem statements, AIRmaker, a structured 3-month full-time programme aimed at readiness for pilot or commercial launch, and AIRmaker +, which focuses on driving profitable growth and product scaling. 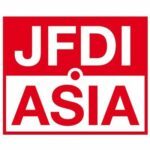 JFDI operates Southeast Asia’s first and one of the region’s most successful accelerator and pre-accelerator programs. Each year, JFDI Accelerate selects between 8 and 12 startups for its structured 100-day programme. The startups receive $50,000 in investment and JFDI would take typically about 9% in equity stake. It also offer JFDI Discover, an online course that teaches independent startup founders the structured way to validate problem/solution fit for their businesses. 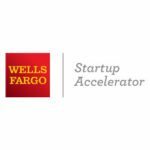 The Wells Fargo Startup Accelerator is a hands-on virtual acceleration program designed to advance startups that create solutions for enterprise customers – inside and outside the financial industry. The program lasts approximately six months, offers coaching and access to mentors, advocates, executives, and investors, and provides potential investments of up to US$1 million for selected companies. TAG, short for Technopreneur Action Group, is a regional tech startup community that catalyses the creation of innovation-driven technology startups, by fostering aspiring entrepreneurs, tech talents and domain experts to explore ideas that solve real-world problems. 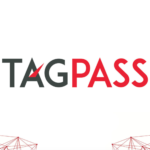 TAGPASS offers several programmes including TAGPASS Transform, a 3-day high impact bootcamp for entrepreneurial individuals, TAGPASS Transform Regional, which gives Singapore entrepreneurs and early stage startups the opportunity to collaborate with overseas entrepreneurs, TAGPASS Acceleration, designed to help aspiring entrepreneurs and teams develop and test their business mode, and TAGPASS Co-Innovation Enablement, designed to enable corporates to co-innovate with startups. 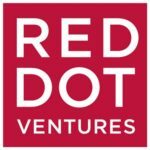 Established in 2012, Red Dot Ventures (RDV) is a venture investment vehicle wholly-funded by our founder, Leslie Loh, to incubate seed stage tech startups in Singapore. Red Dot Ventures was among the first venture capital firms to kickstart Singapore’s startup scene. RDV was selected as an incubation partner to the National Research Foundation under its Technology Incubation Scheme. 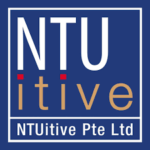 NTUitive Pte Ltd is the Nanyang Technological University’s innovation and enterprise company. NTUitive supports the university’s mission to develop an innovative ecosystem to encourage innovation, foster entrepreneurship and facilitate the commercialisation of research. NTUitive offers several programmes including the Lean LaunchPad (LLP) programme, which helps research scientists and engineers turn their inventive technologies into commercially viable products and feasible business ventures, and the Overseas Entrepreneurship Programme, a once-in-a-lifetime opportunity for NTU undergraduates to gain invaluable skills outside the classroom through startup internship, international immersion and entrepreneurship experience. SPH Plug & Play Accelerator is a media and technology-themed accelerator program with a goal of investing in promising startups. 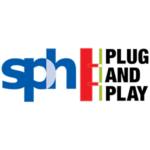 SPH Plug and Play brings together all three partners’ unique strengths: SPH’s vast media expertise and resources; IIPL’s network of industry stakeholders including government-linked agencies and research institutes; and Plug and Play’s experience in running multiple themed-accelerators globally. 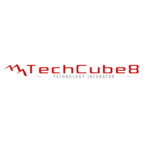 TechCube8 is a private technology investor and incubator approved by the National Research Foundation (NRF), Singapore to promote entrepreneurship and high-tech R&D in the region. Its mission is to identify and co-invest in high impact, early stage technology platforms and companies with the aim of creating international growth champions. 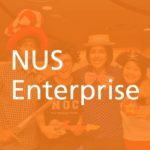 Established in 2001, NUS Enterprise provides an enterprise dimension to the National University of Singapore (NUS)’s teaching and research that involves the university’s students, staff and alumni. NUS Enterprise offers several programs including Modern Aging Singapore, a community, accelerator, and education platform with the objective to create new businesses that help people live better as they live longer, the Lean LaunchPad Singapore Programme, designed specifically for researchers in universities and public research institutes who want to commercialise their technological inventions, the Business Model Design, a programme tailored to social enterprises helping them create, visualise and test business models, and more. 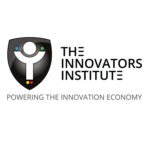 The Innovators Institute is a professional development centre, peer support network and global expert resource for innovation leaders, professionals and novices. It offers several programs including the Innovative Transformation Accelerator Programme, a 6-month programme for Singapore-based SMEs that want to innovate and overcome disruption in the 4th Industrial Revolution, and the FutureEnterprise Innovation Management Programme, a 2-day executive masterclass designed to help SME leaders to acquire the necessary foresight, mindset, skillset and toolkit to innovate in today’s hyper-speed environment. TNF Ventures is an approved incubator under the Technology Incubation Scheme by the National Research Foundation (NRF). It looks to contribute back to Singapore by incubating the next generation of entrepreneurs. 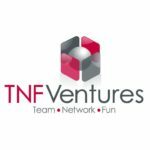 TNF Ventures is founded by key shareholders comprising of entrepreneurs, senior corporate executives, venture capitalists and IT luminaries of Singapore. 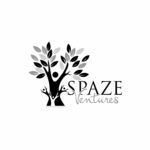 Spaze Ventures is a startup incubator based in Singapore providing seed funding and intensive hands-on mentorship for pre-launch ideas to seed stage startups. Spaze Ventures engages and invests in entrepreneurs and ICT startups in the earliest stage possible, and works with the team to launch and grow. It focuses on high growth and disruptive tech startups with a focus on financial services, education, healthcare services, e-commerce, mobile and enterprise technology. Found., formerly the Hub Singapore, is a network of innovation campuses where ambitious entrepreneurs and corporates find coaching, expertise, and partners to create future-ready solutions. Found. 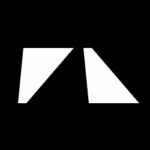 operates the Elevate SG Founder Programme, which supports founders in getting their first venture off the ground, and offers coaching and guidance, as well as workshops. The Mbanq BAASIS accelerator has landed in Singapore and will be in other locations in 2019, including Silicon Valley and Munich. Mbanq aims to create a global network for innovation, cooperation and exchange. The launch of the Banking-as-a-Service accelerator is in partnership with regional partners, such as Life.Sreda VC, Arival Bank and IBM Blockchain. Oracle Global Startup Ecosystem is not your traditional program — it’s a next-generation acceleration initiative. The program focuses on reimagining enterprise innovation through partnerships with startups that foster co-development and co-innovation. The program is tailor-made to get startups up and running in a short period of time. It offers three key benefits and areas of focus: scaling to an enterprise-grade product, helping build revenue, and world-class mentoring. Startup Autobahn Singapore is a corporate co-innovation platform powered by Mercedes-Benz focusing on several domains including customers, automotive retail, aftersales, corporation and infrastructure management. The program aims to accelerate local startups by helping them develop their idea towards a real-life market fit within the company. It is the first innovation platform focused on mobility in Singapore. 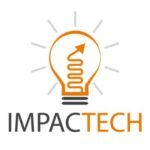 ImpacTech is a Startups’ Accelerator Program, that empowers impact driven startups. It provides bespoke programs for corporates, mentorship and tailored activities related to tech innovations. ImpacTech operates in Singapore (HQ), Thailand and Japan. ICE71 ‘Innovation Cybersecurity Ecosystem at Block71’ is the region’s first cybersecurity startup hub. Founded by Singtel Innov8, the corporate venture capital unit of Singtel, and NUS through its entrepreneurial arm NUS Enterprise, it aims to strengthen Singapore’s growing cybersecurity ecosystem by attracting and developing competencies and deep technologies to help mitigate the rapidly increasing cybersecurity risks in the region. 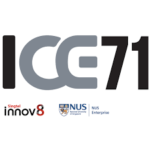 ICE71 provides 3 startup programmes: ICE71 Inspire, ICE71 Accelerate and ICE71 Scale. Shell Singapore aims to be a “living lab” of energy innovation for Singapore, and hopes to testbed and potentially commercialise digital and clean energy solutions relevant to the country. 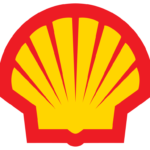 Shell IdeaRefinery is a key programme supporting this goal. Startups have the option to join one of the two programmes: Launch or Pivot, through which they will gain valuable insights and key learnings to better their businesses.